Pepe the Frog is mad as hell and he’s not gonna take it anymore. Or so Matt Furie, the creator of the original Pepe, would have you believe. 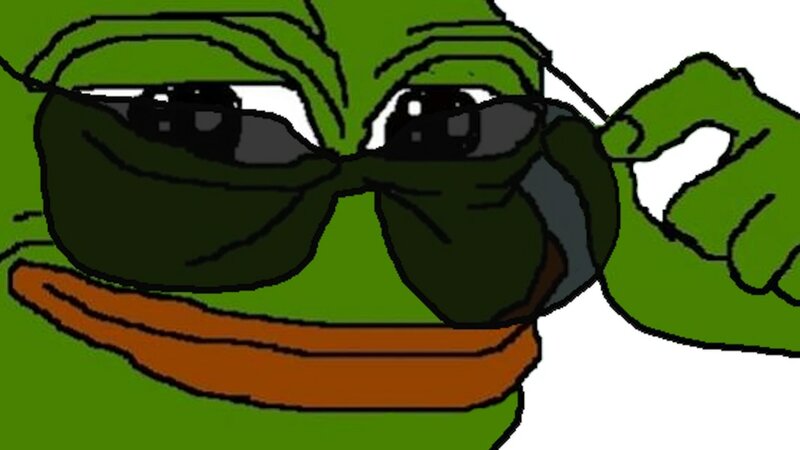 Despite the fact that Alex Jones has stood up for frog rights by pointing out that the government was putting things in the water that was making the frogs gay, it appears that this frog, Pepe, doesn’t want Alex Jones to use his image anymore. So Matt Furie, on behalf of Pepe, is suing Alex Jones. Well, Matt, good luck with all that. First of all, Pepe is no longer your frog. You created him, but he has since grown and morphed into multiple Pepes, some of which are not so cool (like ACTUAL alt right Pepes, as opposed to conservative or libertarian Pepes that are also called alt right Pepes). He has grown up. You can’t control Pepe. You tried to murder him. He refused to die. And now your lawsuit assures that more Pepes will march forward until one day, Matt, you will find yourself as Neo facing Agent Smith, with Agent Smith being an army of diverse Pepes and you being that Latte Pajama boy Obama used to pitch state-controlled healthcare. I don’t like the outcome of this one, Matt. I’m betting the Pajama Latte version of Neo lacks the deft moves of Keanu Reeves and his CGI-enhanced performance. Thank you for this. May Pepe memes stream forever across the great trolliverse, unshackled by your bourgeoisie first-world privilege and your petty social construct of Intellectual Property.